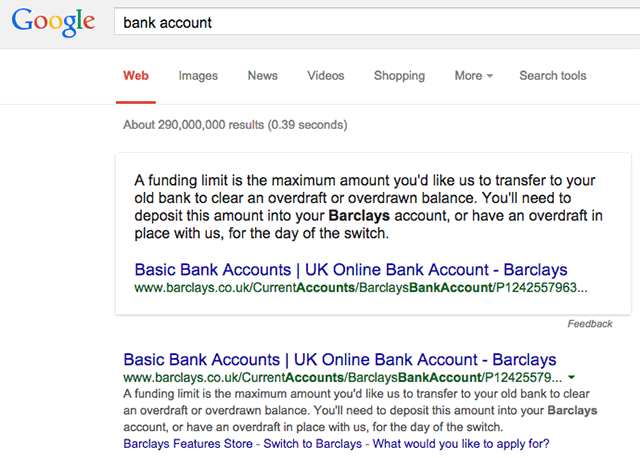 We know that Google typically does not want brands in Google Answer results for generic non-branded queries. But it comes up all the time. I can't cover all the examples all the time but this one I should cover. John Mueller from Google, about a year ago, said that brands typically should not power these Google Answer boxes. I would think in this case, it wouldn't make sense here either. Note: In the US it shows USA Bank and in India it shows Wells Fargo, so not much better here.